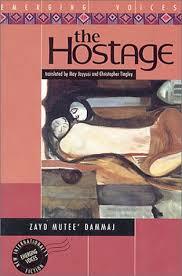 The Hostage (Ar-Rahina) by Zayd Mutee’ Dammaj translated from the Arabic by May Jayyusi and Christopher Tingley (Interlink Books, 1994). There isn’t much Yemeni prose for curious English-language readers to get their hands on. At first I assumed this was becauseof a lack of translation – and that is part of it – but after some time researching Yemeni writers and emailing addresses for bookshops and writers associations that, without exception, bounced my messages straight back at me, I realised that there might be a bit more to it. In fact, the country’s political history, which sawthe rigid regime of the Imams give way to decades of war and unrest in the latter half of the 20th century, means that fiction writing and publishing in the country has been prettythin on the ground. Nevertheless, there have been some pioneers and ofthese Zayd Mutee’ Dammaj, whose 1984 novel The Hostage was chosen as one of the top 100 Arabic novels of the 20th century by the Arab Writers Union, has to be one of the most celebrated.Set during the run up to a brief revolution in the 1940s, the book portrays the struggles of a young boy who is taken hostage because of his father’s political activities and is sent to work as a duwaydar [attendant] in the Governor’s palace. Required to service every whim and desire of the men and women of the household, the boy learns the meaning of powerlessness and subjection. 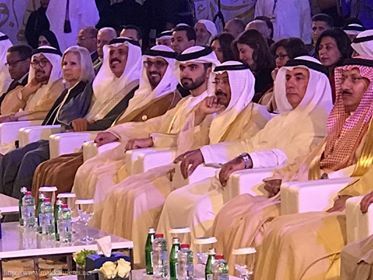 Yet, as his political awareness grows and society outside the palace gates begins to stir, his experiences give him the insight he needs to begin to imagine another future. Interlink Books, the company behind the Emerging Voices series in which this translation was published, were clearly worried that the historical and social context of the novel might be challenging for Western readers. Not only did they include a preface explaining the reasons for translating the book in this edition, but they also added two introductions and footnotes to the Arabic terms in the text. They needn’t have been so diligent because Dammaj’s skill as a storyteller is more than equal to the task of carrying his readers over his narrative’s sometimes challenging terrain. Indeed,the sense that we are getting a glimpse into the closed, privileged and long-lost world of palace life under the Imams’ rule is one of the novel’s great strengths. This is helped by the protagonist’s position as an outsider, which means that we discover the world with him and watch as he compares the formal processes of power with the way things are done in his own largely illiterate home community. However, perhaps the most startling arena of discovery is that of the palace’s sexual politics. Women in this closed world are extremely predatory towards the young pubescent boys serving them, as are the soldiers manning the gates, leaving the hero feeling ‘like a rare bird […] put in a golden cage for life’. During a drive back from a state visit, the women’s possessiveness even spills over into a physical fight, with the boy tossed between them like a doll:‘Then suddenly, she got hold of me and threw me towards them, so that I lost my balance and fell in some of their laps.‘”You’re simply jealous of me,” she said, “because he’s sitting next to me. Am I jealous of you because he’s in your beds every night?”‘Humiliation doesn’t get much deeper than this. However for Dammaj’s hero, the extreme pressure of being possessed and passed around in this way is just the force he needs to sublimate his powerlessness into dignity and develop his own desire for self-determination. – Ann Morgan, a freelance writer and editor from London. Her first book, ‘Reading the World’ or ‘The World Between Two Covers’, as it’s known in the US, was published in 2015. It was inspired by het year-long journey through a book from every country in the world. Her next book, a novel called ‘Beside Myself’, is published worldwide in English by Bloomsbury. – Zaid Dammaj was born in As Sayyani District of Ibb Governorate. 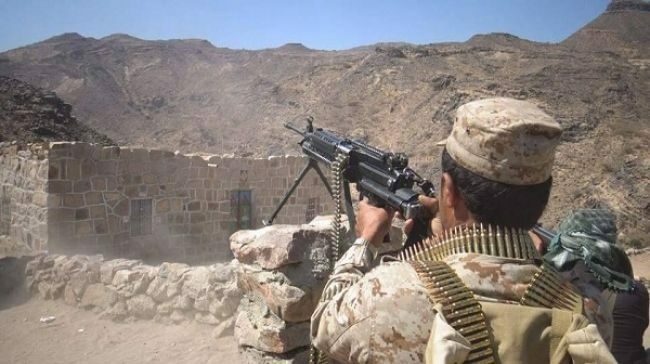 His father Sheikh Mutee’ bin Abdullah Dammaj was a committed revolutionary activist against the rule of Imam Yahya and went on to establish a political party named Al-Ahrar in Aden in 1943. Sheikh Mutee’ continued his struggle against Imamate regime and became the first governor of Ibb Governorate after the revolution of 1962. The young Dammaj was educated in the village madrasa and at home, before his father sent him to a school in Taiz. In 1958, Dammaj went to Egypt where he studied in schools in Bani Suwayf and Tanta before enrolling in Cairo University in 1964. He studied law for a couple of years before deciding to make the switch to journalism. He had already started to write political articles and short fiction that was published in the New Yemen periodical. In 1968, still in the middle of his studies, he was summoned back home to participate with his father in the anti-royalist movement. In 1970, Dammaj was elected to the Shura Council, regarded as Yemen’s first elected parliament, as a representative of his native district of As Sayyani. His political rise continued. By 1976, he was appointed governor of the Mahweet governorate and in 1980, he became Yemen’s ambassador toKuwait. 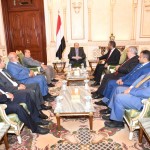 In 1982, he cemented his place in the political hierarchy when he was elected to the Permanent Committee of the General People’s Congress, the ruling party in Yemen. Parallel to his political career, Dammaj also pursued a career as a literary writer. His first volume of short stories was published in 1973, while Al-Rahinah(The Hostage) was published in 1984. It went through multiple printings in Arabic and has since been translated intoFrench,English, GermanandHindiamong others. It is widely regarded as the most famous novel in Yemen and a classic of modern Arabic literature . Dammaj was 57 when he died on March 20, 2000 in Middlesex Hospital in London. His eldest son Hamdan Dammag is a Yemeni/British computer scientist and a prize-winner novelist. He has several poetry and short stories publications. *.Al-Madrasah Al-Ahmadiyah (The Ahmadi School), novel—not complete.